While watching the discussion on loose women today about passive aggression it started to make me think…am i passive aggressive? It seems that most women can display behaviours of passive aggressive. In arguments women are most likely to withdraw, use blocking body language and refuse to answer questions. I wondered why this is so. I suppose historically women, in many cultures, have been taught to ‘stay in line’ and as much as the times have moved on these lessons can still linger, especially where more than two generations are still active in our families and friends. I have heard many phrases over my lifetime, ‘you have to look after your man’, ‘remember he’s the breadwinner’, ‘is it really worth arguing about?’, ‘do you want to see yourself on the street?’. Of course many of these would not be appropriate now but somehow a lot of women in this day and age still feel that the man in the relationship has the upper hand. While we would like to express our dislikes to our men, women often feel unable to express for fear of being down trodden or misunderstood. I suppose this is where our passive aggressive behaviour comes in. I can remember my ex husband telling me I was aggressive, I was upset for along time about this thinking that he was wrong, I wasn’t violent or outspoken! It took me along time to realise, after the marriage breakup I might add, that he was trying to tell me that in arguments I shut down, refused to discuss and used body language to make me unavailable. On Loose Women this afternoon Janet Street Porter spoke about how she is able to remain quiet rather than enter into an argument and she spoke about how useful this can be, she went on to say that it gives you time to reflect and think about what you want to say. I do agree with this however it would be useful for the other person to know you are doing this, ask for time to think about the conflict (space). It is very different when you have something to bring up and are not able to address the issue and are using passive aggressive behaviour to try and bring about a beginning to a discussion. 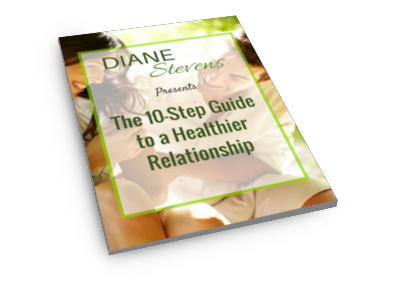 Thoughts about a difficulty in a relationship should be thought about before confrontation; why is this happening? Why am I feeling like this? What is my part in this? This will bring about a better opportunity to discuss things through to a more satisfactory end without dragging it on for hours or days. Passive aggression takes up a lot of energy and can really damage a relationship and while you are behaving passive aggressively you collect more things to moan about along the way! Share your stuff, welcome feedback and speak openly and honestly without hurting each other in the process. Communication is the best thing a relationship will own. Dan Kurt,I tend not to wander aimlessly any where. If I have a reason to be somewhere I go there with such reason in mind. I have walked through areas such as Compton, Inglewood, South Central, etc. Did I judge people based on some preeonccived notion that people who weren’t Caucasian like me were out to do me harm? No. Do I believe a statistic of crime in a certain community should change my view of the individuals of that community? No. Criminals are criminals and often prey on decent people. I believe that most people in bad areas are more likely to be victims of crimes than criminals themselves. Thanks for publishing this informative article.